With the festive season around the corner, fashion designer Sanjay Garg recently announced his much-awaited autumn-winter festive collection on Instagram that is named 'Heer'. 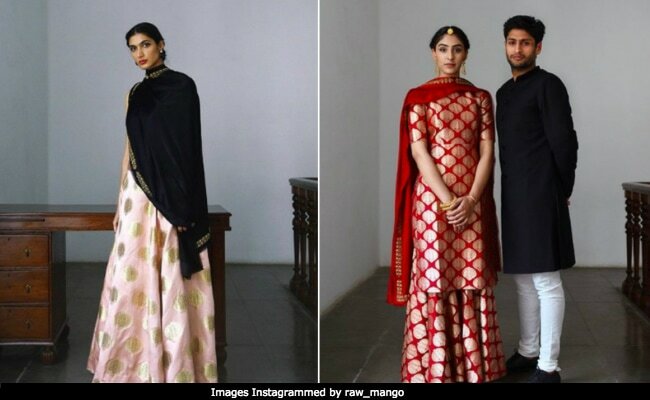 Being the creative force behind one of India's most popular ethnic wear brands - Raw Mango, Garg has once again beautifully managed to revive rich textiles and age-old design techniques to mesmerise you with his minimalist yet striking collection. Heer is inspired from pre-partition Punjab and it celebrates "unified tradition and heritage through a rich palette of colour, textile and silhouettes". At a time when brides are looking for wedding trousseau that are modern yet true to Indian traditions and minimalist yet beautiful in its simplicity, Garg takes the opportunity to curate a wedding collection that acknowledges tradition and doesn't make a fuss about today's finery. You will notice rich brocade sarees, knee length silk kurtas, floor grazing organza and brocade shararas, lehengas with traditional motifs and silk-satin odhanis among other gorgeous pieces. In one his posts, Garg shares that the "textiles draw from vintage archival Varanasi silk brocades featuring motifs that gain meaning through history, culture and context. Leaves of the neem tree, geometric lattices and floral trellises add weightless ornamentation and are embedded in the richness of mustard yellow, rani pink, magenta, red, pale pink and rama green." In another post, Garg shares that "Heer features garments and saris that are made through fine Gota embroidery which is an applique technique where pieces of metal yarn ribbons are applied onto the fabric." The Kapurthala saree from the collection is a fine example of reviving century-old textile. The brocade saree is painstakingly women with zari to create intricate floral details and give it a smooth finish. While red garments dominate the bridal collection, you will also notice other vibrant colours that used to be more prevalent in weddings during that era. These colours are woven with the kadwa technique using Varanasi silk, which predates the era of jacquard and jaala techniques, and are made through getwa loom in a play of geometry. Some attires feature the play of meenakari on the trellis of flowers and is inspired by printed textiles such as kalamkari chintz. Garg also reveals that the idea for Heer struck when he was designing a wedding outfit last year for his younger brother's then to-be-bride, who is a Sikh. While going through his archival textiles and the visual imagery of Punjab, he was fascinated by the memories of pre-partition Punjab. 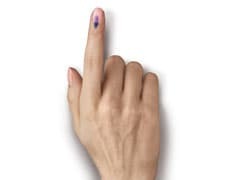 "Punjab holds an old world charm and a legacy of a 'live and let live' notion that unified religion, tradition and heritage," mentioned Garg in one of his posts. Through Heer, he has tried to represent the old world charm of the glorious past, and we must say that he has our heart.